I am writing this month’s article as Tom and I drive home from the PCA Treffen Banff held in the Canadian Rockies. It was a wonderful event at a “bucket list” location, Banff Springs Hotel. Snow came early to the Rockies, which didn’t stop us from touring many of the great sites in Alberta. 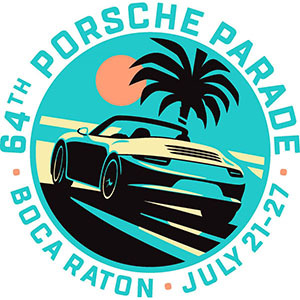 Treffen limits the number of attendees to around 200 Porsches. 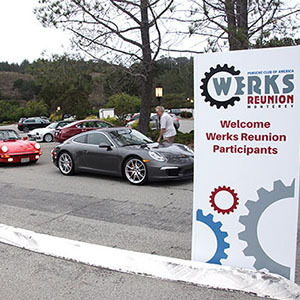 This gives you time to tour and socialize with small groups of Porsche enthusiasts. Check out future locations at treffen.pca.org . One might be on your “to visit” list! Registration for each PCA Treffen opens approximately 3 months before the event. September wrapped up the Zone 7 Autocross series with the final event at Alameda hosted by Golden Gate Region. There are 22 autocrossers who have attended 5 or more events and will receive their trophies at the Year End Banquet. Everyone is invited to join us at the Zone 7 Year End Banquet, which will be at the casual Mexican Fiesta in Concord, California on November 10th. This is a central location to many of the Zone 7 regions. Zone Concours and Autocross awards will be awarded along with other Zone awards for the year. The Zone 7 Concours series will wrap up on Sunday, Oct. 7th hosted by Golden Gate Region at Carlsen Porsche in Redwood City. Carlsen Porsche will celebrate Oktoberfest and the reopening of their remodeled showroom. Hope to see you there.